Sound is a medium that invites participation, reflection, action and reaction. 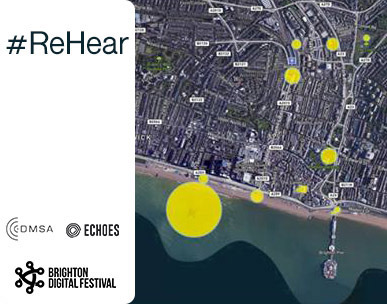 Sound operates across boundaries of senses, media, materials and forms. This year’s graduate show pieces from our students present a range of approaches into these observations. With an emphasis on both the physical-visceral and the emotional-ethereal affect of sound, the different works exhibited in the DMSA area in Grand Parade (East Wing, Back Building across the courtyard, 3rd Floor) pose a series of complex questions that the visitors will play a leading role into deciphering. A peformance of Sφera is scheduled for the Private View, June 1st at 7pm. Book your tickets. SΦΕRA from Jeph Vanger Sound on Vimeo. Sound is enveloping and ambiguous, simultaneously of the body and beyond it; a trigger of memories, senses and sensations. Sophie Kiairie’s Soul positions the listener in complete blackness-blindfolded with their ears as the only means to navigate through a binaural soundspace of familiar-like creatures and environments. Soul is a short first-person immersive audio play. In Soul, you are placed in the shoes of a soldier undergoing training in a facility in order to gain heightened hearing senses that in turn help you the soldier in combat against unknown creatures that have invaded the planet, eating people’s souls. They do so to strengthen themselves, and to feed their Queen, who is to give birth to a King strong enough to conquer the universe. It starts at the end of the training in a facility, where scientists have placed you in a training room where they proceed to load 4 different sonically simulated environments to explore. Oliver John’s The Miraculous Land is a 40 channel generative, ambisonics inspired sound installation. For the majority of its everlasting duration it sonically comprises of an electroacoustic sound design driven construction of a room in a library. At points the illusion of the library intentionally deconstructs itself, separating sounds from their sources and manipulating them to create intangible realities. 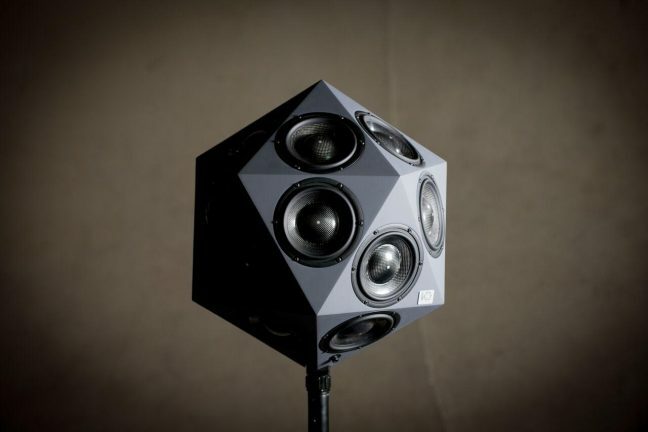 This makes each of the 40 loudspeakers individually decipherable, creating surreal illusions of movement within the three dimensional soundspace. Because of this, one becomes attentive of its artificial creation, which puts light on the constructed sonic environment as a digital soundscape.